The initial marketing price of your property is crucial, as you need to make the most of those critical first few weeks when your property is ‘new on the market’. If you overprice your property, you could lose out on possible buyers; if you under-price, there is no going back… you can’t suddenly decide to ask for more. I realise how difficult if must be for you to put your trust in someone to get this figure right (meaning your estate agent), but did you know there are some things you can do yourself to help? I recommend you start your research as soon as you are planning to sell your home. Scan through the property pages of your local newspaper, or scroll through some online sites such as Rightmove or Zoopla. It’s very easy to do. Simply put your local area into the search box, how many bedrooms, search radius and price range and it will bring up all the properties on the market. I find it useful to tick the ‘under offer’ box in the search too, as it will then also list any houses that are sold. If you do this regularly, it’s surprising how quickly you will become familiar with ‘typical’ prices for certain types of properties. You can use these prices as a benchmark for your own. I also recommend that you keep abreast of peaks and troughs in the national property market by reading any relevant articles in newspapers. If you have a smartphone, you could use the BBC news app. It’s great if you have a busy life like me! You can choose ‘property’ as one of your preferences, and even set it up to alert you as soon as an article is uploaded. It’s a simple way of keeping your ear to the ground, and can be done whilst enjoying a coffee. Perfect. You may be wondering why this is necessary. Why do you need to know about national property trends? 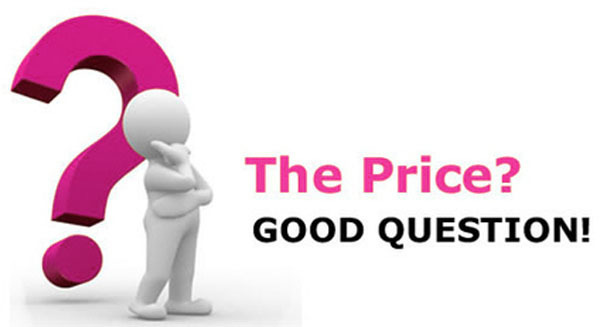 Let me explain… it can help you to plan your asking price. Let’s say, for example, that the general market trend is upwards (he says, praying), well you then know that you are more likely to get your asking price. It allows you to gauge a realistic idea of price so that you can plan your finances accordingly. 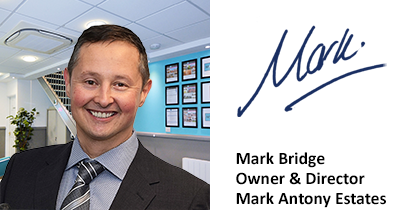 This is where I come in – your local, independent, professional property agent! (cue the cheesy smile). Seriously though, I have my eye on the market every day… it’s my job. I live and breathe property. It’s in my interest to give you an accurate valuation of your home. I pride myself on being completely honest in my valuations, and will not be adding value to gain your business. Honesty is ALWAYS the best policy in my opinion. If you prefer to get 2 or 3 valuations, this can be great for your own peace of mind, and for checking their accuracy. Let’s say you get 3 valuations and 2 of them are pretty similar, but one is way away, then you know which price to choose. We all love our properties, and we work hard to make them our home. It’s vital, however, that you don’t let your heart sway your asking price. It’s not easy. We become emotionally attached to our home, and can easily fall into the trap of believing it is better than it actually is. I have been guilty of this in the past too; ‘My house is amazing and much better than anything else on the market’. Try to remain realistic. Your taste in décor is not necessarily that of your viewers. If you have an idea of what you are prepared to accept for your property, this can help you decide on your final asking price. In the current market, buyers may still expect a reduction in price of around 1% – 5% so you can budget this in to your figures. Although, set the price right, choose a good agent and you may get full asking price if not more! But at the end of the day, a property is only worth what someone is prepared to pay.